West Springfield, MA – FiberMark, a global leader in manufacturing innovative paperboards, fiber-based specialty covering materials and print media for world-leading brands, announces an innovative new portfolio of folding carton, turned-edge and bag stock products specifically engineered to meet the design demands of the upscale health & beauty packaging market. The dramatic visual and tactile appeal of FiberMark packaging materials draws attention to products in the retail environment and significantly drives sales---a must for upscale brands. With thousands of texture, finish and color combinations (including duplex options), FiberMark’s substrates are enhanced by the deep, rich color saturation of the products throughout the sheet, eliminating glaring white edges and ensuring color consistency from lot to lot. 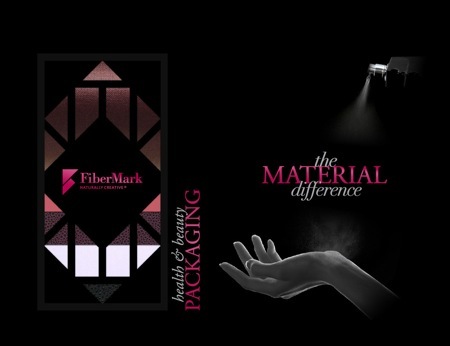 FiberMark’s packaging materials also offer superior decoration and performance characteristics for printers and converters, with custom sheet sizes available to help maximize yield per sheet, and rigid paperboards that are available in a wide variety of calipers, making it possible to eliminate liners. These premium boards and luxury covering materials are strong and durable while providing a stylish, refined alternative to white SBS. During the week of May 12th, FiberMark will be displaying its products and expertise at booth A26, Luxepack NY and at the DieLine Packaging Conference in Boston. To request a sample of this radiant Health & Beauty Packaging collection and learn more about FiberMark’s complete portfolio of solutions for custom high-end brand packaging visit www.fibermark.com/packaging/health-beauty.